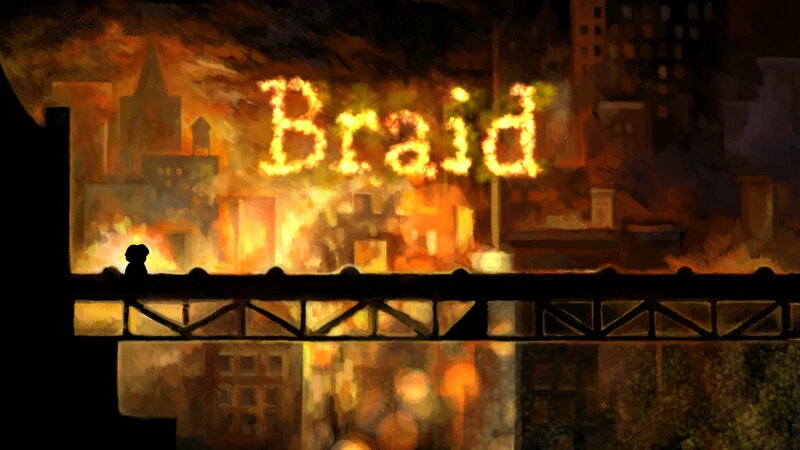 Over the next month or so I’ll be wrapping up work on Braid, a video game by Jonathan Blow, coming to XBOX LIVE Arcade. 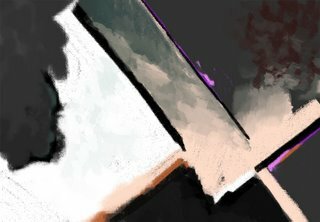 (For an overview from my perspective, here’s the relevant page from my portfolio, and for general Braid-related news, here’s the official blog.) It seemed like a good time to “start talkin’,” as they say in interrogations. This is the first of a series of blog posts highlighting different aspects of Braid’s art, and explaining some of my thoughts behind them. Some posts may be fairly concrete-minded, but others (this one, at least) verge a little into my own associations and difficult-to-pin-down feelings. But hey, it’s art! Behind-the-scenes info and creator commentary are always interesting to me, so hopefully these will address someone’s curiosity at least. 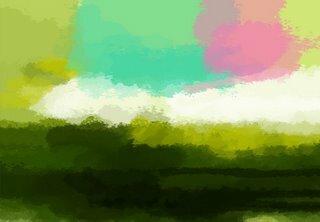 Let’s start with these vague yet vivid digital paintings. They’re from the very beginning of my involvement in the project, in the summer of 2006. Even then it was known that Braid contained various worlds, and that each world had a different theme, and that each theme would call for a different graphic solution. 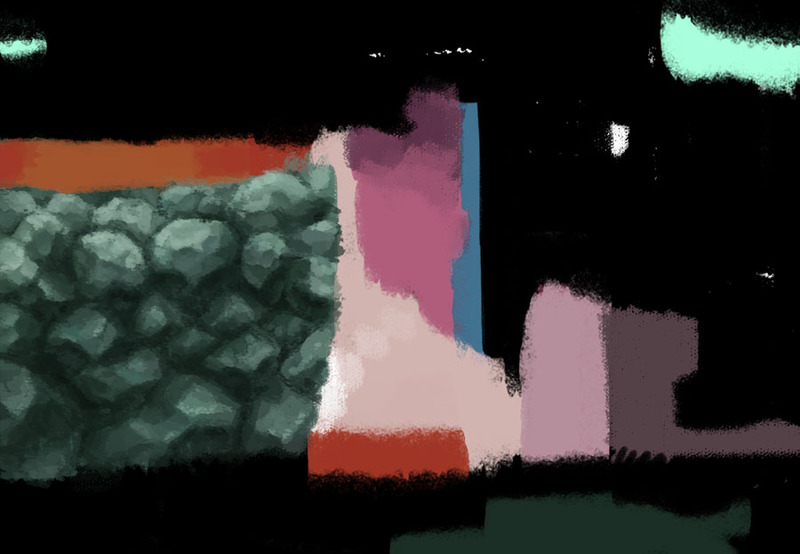 These exercises were just an initial foray into mood and color, to see what range of sensations might be appropriate. Looking at these now, I don’t remember what thoughts were guiding me. But I’m struck by the sense of nature in each one. They’re dewy and bright and cold, like a morning when you’re out in some wilderness without a jacket because you forgot how chilly it would be. They’re also brooding and mutable, unresolved. There’s that one with the grey-purple clouds cruising by huddled orange trees. The clouds are like gangbangers scoping out a joint. In all of these, nature is powerful, uncontained, and transient. Looking at these, you don’t expect them to stay the same. Again, I don’t remember too well what I was thinking at the time. Maybe they were just reflective of my mood that day, but let’s credit my professionalism and suppose I was making an effort to answer the needs of my client! Looking at these in light of the final product, I can see how they relate. 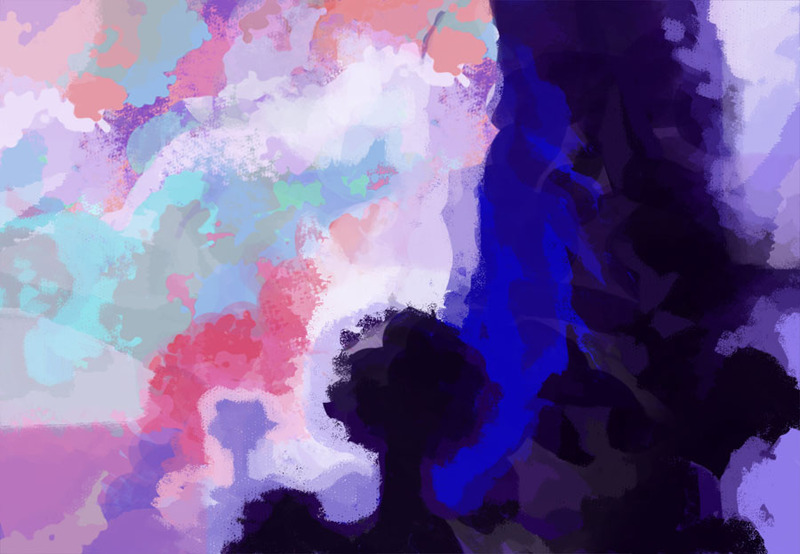 … Backing up a bit, Braid is a series of thought-experiments about how reality might be. 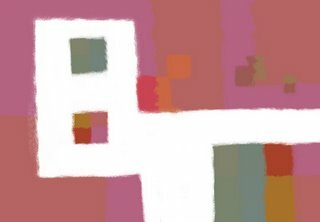 Each world the player visits presents a different theory of nature, and time. As the philosophically-inclined Tim, it’s the player’s role to engage the new theory, test it, and discover its implications. Each new theory brings mystery and discovery, but also destabilizes Tim by deepening his uncertainty, cutting him loose from the grounding of a consistent world view. In Braid, like these paintings, reality is malleable. The forces of nature are powerful and sometimes daunting, but they transform with Tim’s evolving perspective. So, I see those things in these images: reinvention, power, and instability.If you see a pony and a bunny rabbit, please let me know. Great work on these. After playing Braid and loving the art, I had to check out your site and see what else you’ve done. You’ve inspired me to try my own hand and making some game-styled art (and maybe even go further with it, who knows). I love the idea of a game conveying some sort subtle message through its art direction and overall atmosphere. More games need to incorporate this type of design. Braid is a very moving game and your art direction is largely responsible for that. I can only hope to work on a project like this someday. 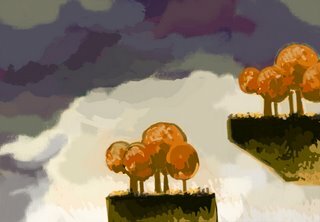 Thanks for all of this great information, I’m a game artist myself, and I really appreciate that you share your working methods, it’s really helpful and motivating. Thanks again and congratulations for all your great work!